Valentine’s Day is not one of the holidays that I go all out on decorations for, but I do love to set a pretty table. 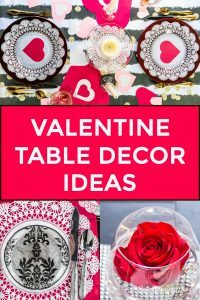 Whether it’s using paper hearts as the centerpiece, folding a heart shaped napkin or making some simple floral centerpieces, I like to use easy Valentine Day table decoration ideas to add a little romance to my dining room. When it comes to decorating for Valentine’s Day, I don’t usually put up a lot of hearts and bows. 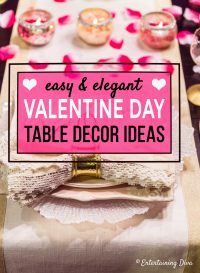 Over the years, I have come up with a list of “go-to” easy and elegant Valentine table decoration ideas that are perfect for the occasion. 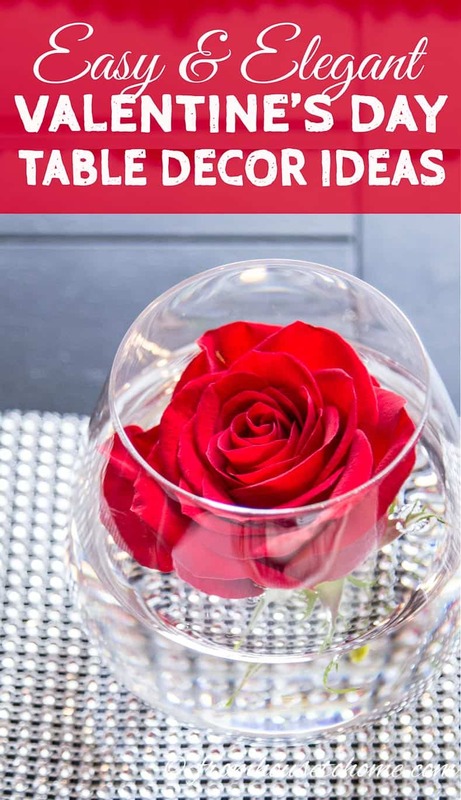 Whether you are having your girlfriends over for a Galentine’s Day party, or are having a romantic dinner for two, these Valentine Day table decoration ideas will make your table look beautiful without breaking the bank. You can easily add to your Valentine Day table decorations with hearts made from construction paper. Cut out different sized hearts in red, white and pink construction paper. I’m lazy so I used my Cricut machine to do this, but you could easily make them by hand. Then sprinkle them around your table and it will look like a romantic celebration even if you haven’t done any other Valentine Day decorating. 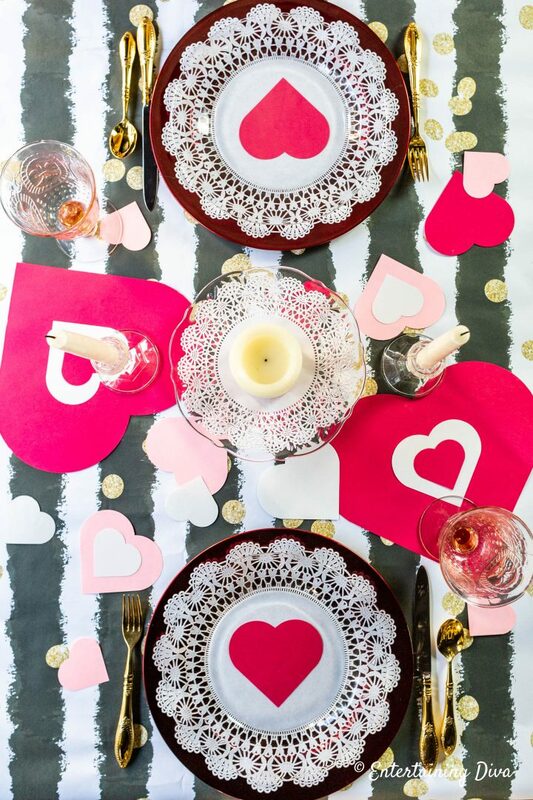 See the rest of this Valentine Day table setting HERE. 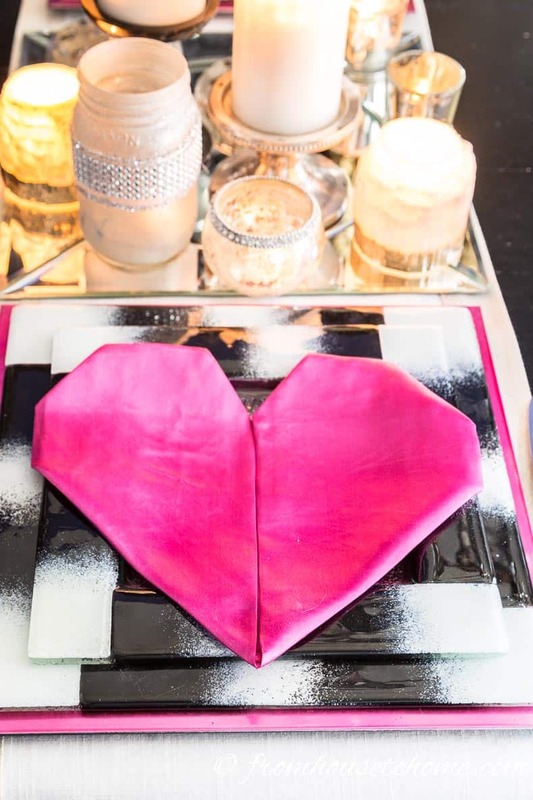 Another easy Valentine Day table decoration that will instantly make your table feel more romantic are these folded napkins that look like hearts. And this Valentine’s day decoration doesn’t cost a penny! For an easier way to fold your napkins, these folded envelope napkins are the way go. You can add place cards under the flap if you are having a dinner for more than 2 and want to assign seating. To me, nothing says romance quite like some gorgeous flowers. Even a simple floral centerpiece can make your Valentine Day table decor look beautiful. Get some more simple and romantic floral centerpiece ideas HERE. 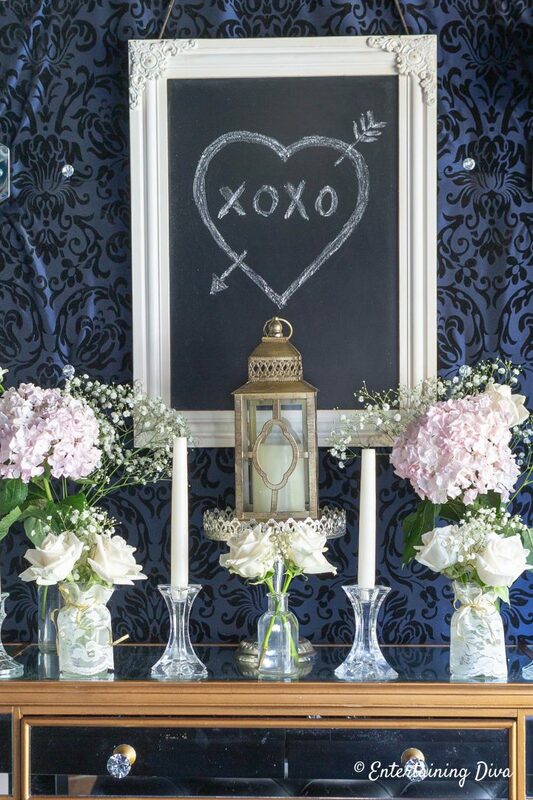 The next one on my list of Valentine Day table decoration ideas involves getting out your chalk! 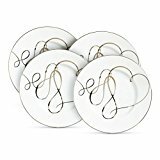 Draw a heart or write a romantic message on a chalkboard and hang it above your table for instant Valentine’s Day decor. It helps to have a chalkboard with a really pretty frame like this one*. 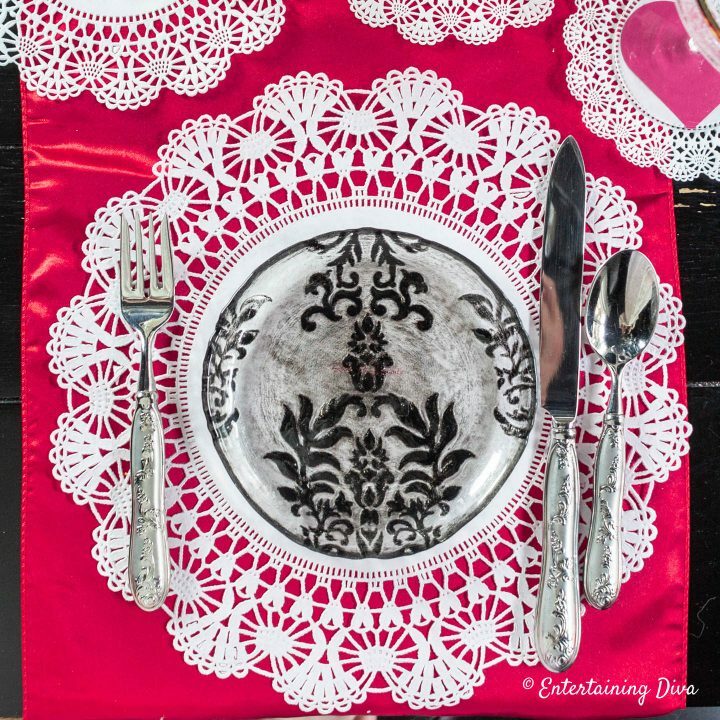 Lace paper doilies also help to make your Valentine Day tablescape look pretty. 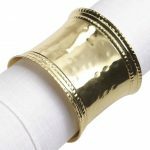 Especially if you layer them on top of a tablecloth or runner that’s a different color. Then you can really see all of the pretty lace patterns in the doily. 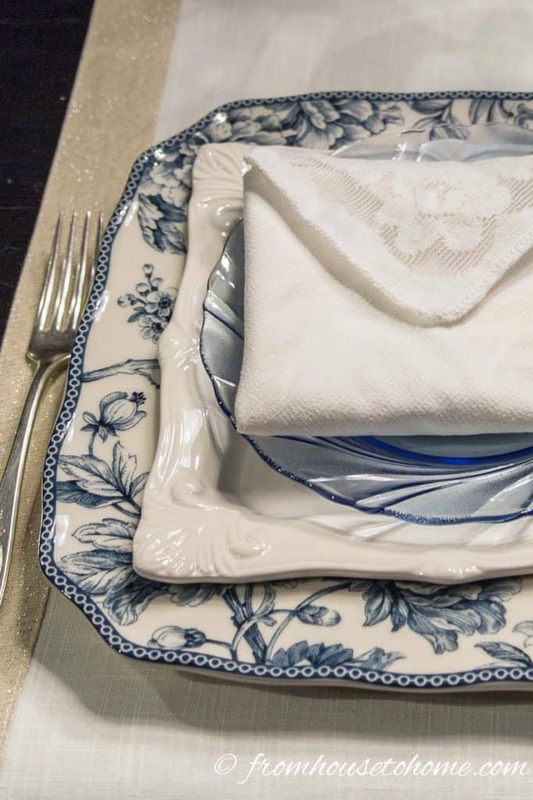 On this table, I even used doilies as the chargers for my place setting. 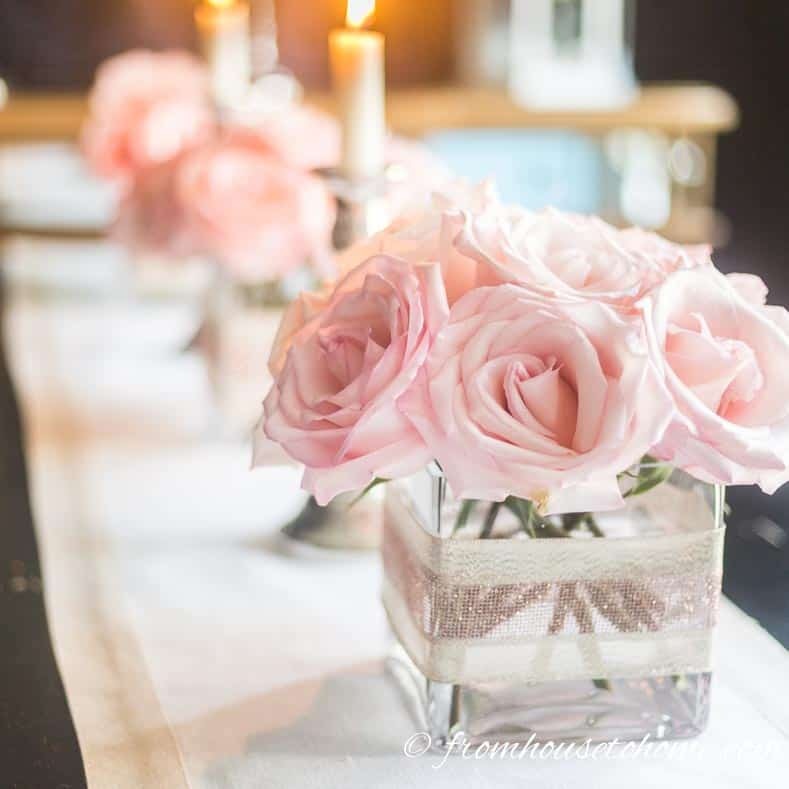 In case you hadn’t noticed, a lot of my Valentine Day table decoration ideas use pink pink and candles. 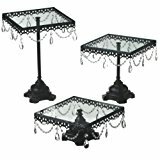 Which is how these candle holders came to be. 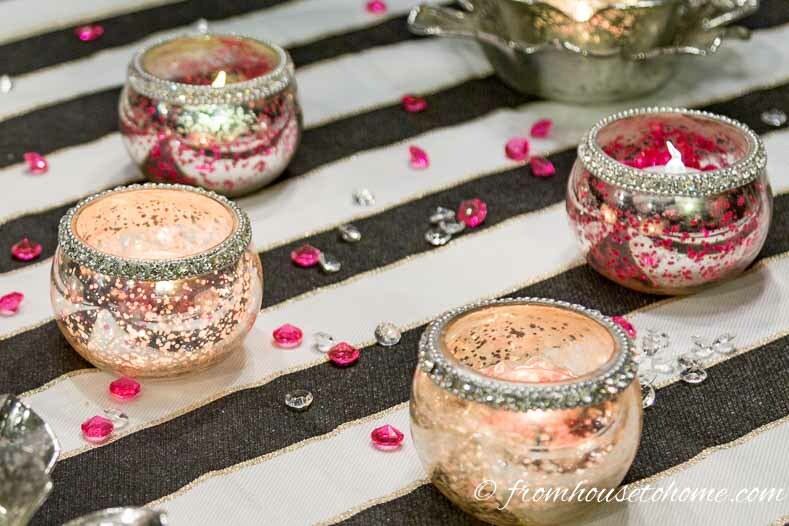 You can make your own by filling mercury glass tea light holders*, vases or mason jars with pink acrylic crystals*. Then add some tea lights. 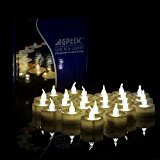 The flameless candles work best since you don’t have to worry about melting the crystals. I like to use these ones that have a built-in timer*. That way the candles can turn themselves on and you don’t have to think about it while you’re trying to get ready for dinner. 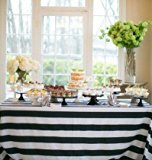 Sprinkling a few of the extra crystals on the table adds a little extra color, which is especially dramatic on a black, white and gold table cloth like this one from Kate Spade (you can find a similar one HERE*). 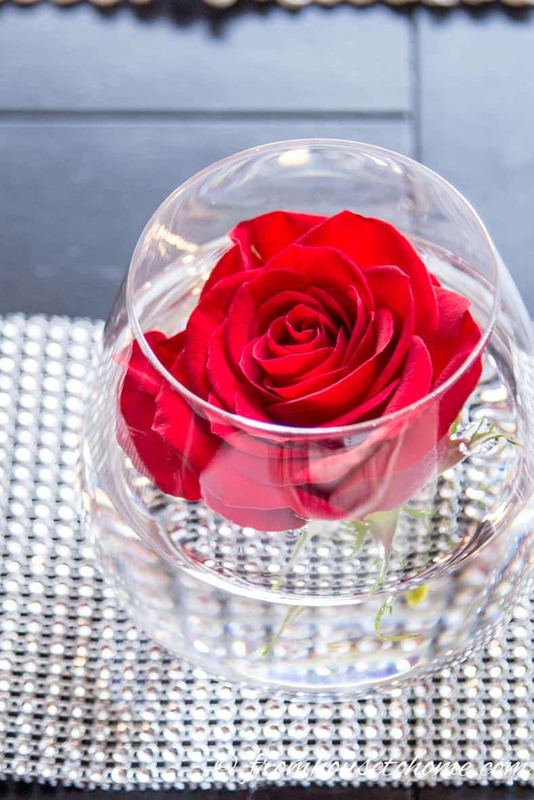 If you want to use roses without spending a lot of money on Valentine’s Day flower prices, try floating individual blooms in pretty wine glasses. 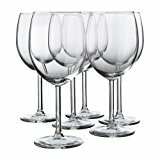 Stemless wine glasses are a simple and elegant of doing this (you can find some HERE*). The rhinestone ribbon* under the glass adds a little more sparkle. Or you can use traditional stemmed wine glasses if you want a little more height. 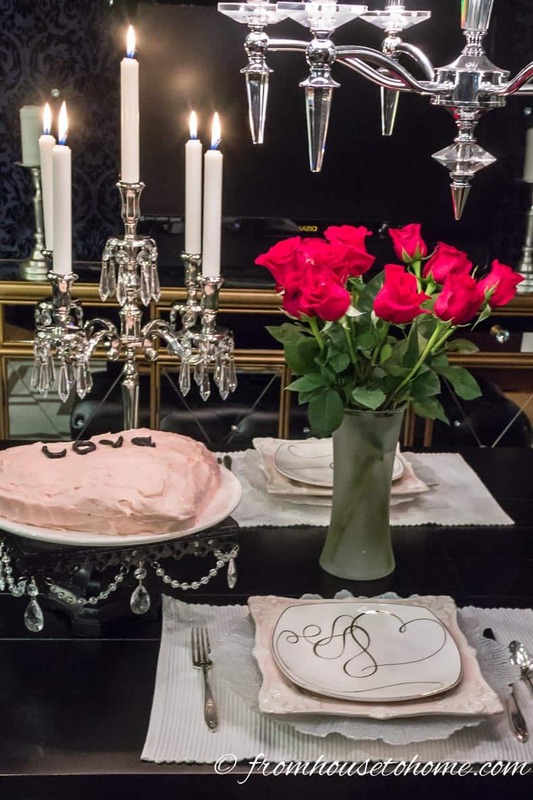 A crystal candelabra* with a bouquet of roses is a classic combination for a romantic dinner. 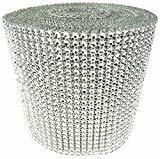 Add in a heart-shaped cake on a cake plate with crystals* and you will really set the mood. As an added bonus…Heart-shaped cakes are actually really easy to make…no special cake pans required!. 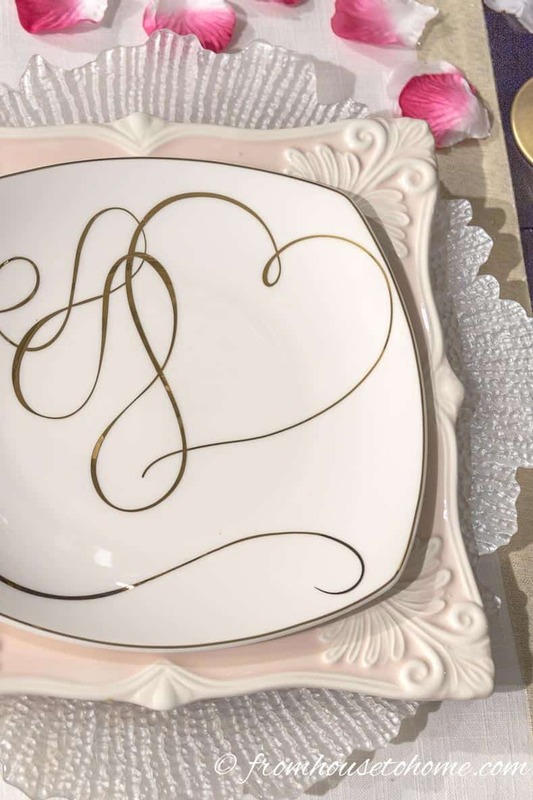 White and pink dishes with gold accents give the romantic feel without being too overpowering. 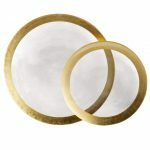 If you prefer something a little more dramatic, try going with a Kate Spade inspired table setting. 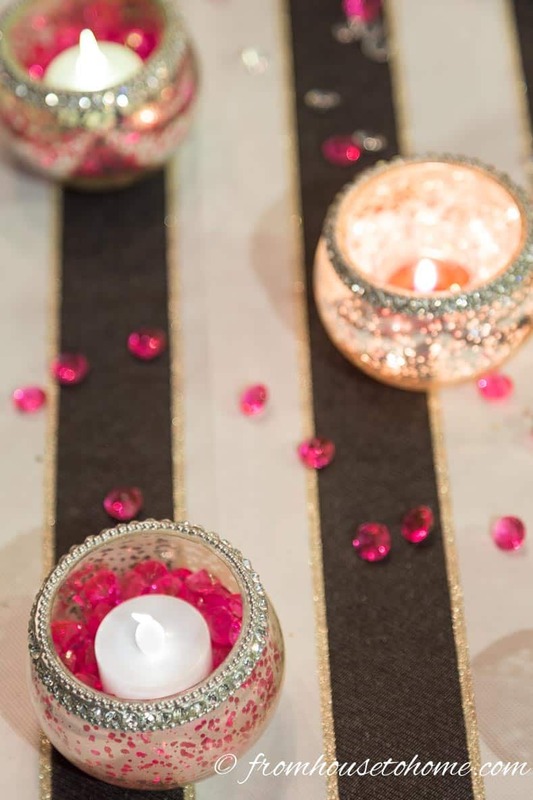 The bright pink napkin definitely makes a statement against the black, white and gold table setting. 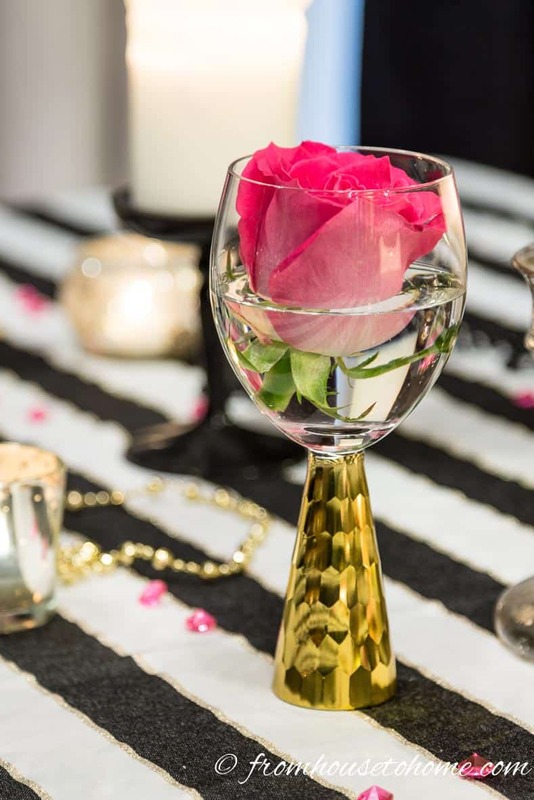 For an easy and inexpensive Valentine Day decorating idea, make your own Valentine’s Day wine glasses by spray painting the stems gold (Find the tutorial HERE). 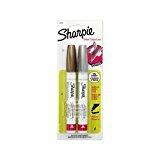 Then use a Sharpie Oil-Based Gold Marker* to draw on the hearts. Make sure to draw carefully since this ink becomes permanent pretty quickly. Also, don’t go too close to the top edge of the glass, since you don’t want to be eating marker residue! 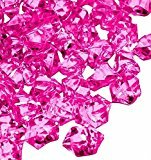 Real ones are the most luxurious option, but these faux rose petals* do have some advantages…they are less expensive, are re-usable and don’t wilt. Which means you can put them out ahead of time without any issues. 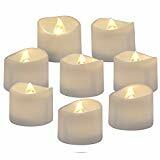 It’s hard to think of a romantic table setting without candles. 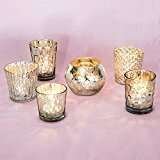 So why not create a centerpiece out of lots of different candle holders. 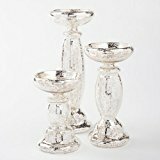 Mercury glass candle holders* always look romantic. 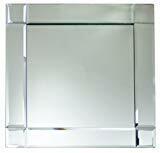 Vary the heights and sizes to add interest. 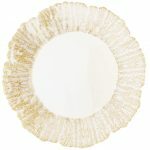 Putting them on top of mirror charger plates* reflects the light and causes even more sparkle. 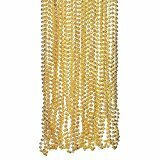 Hopefully you have found some inspiration for your own easy and elegant Valentine’s Day table decorations. Time to get decorating! 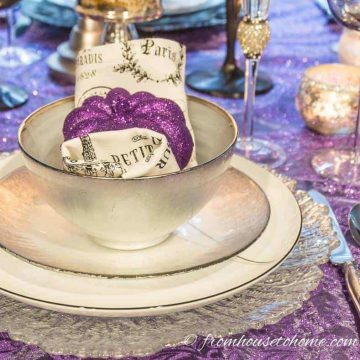 Have comments or questions about our Valentine Day table decoration ideas? Tell us in the section below. Hi! 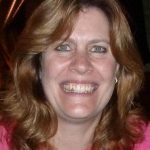 I love to host tea parties! Just wanted to pass along, that you can buy ceramic tea pot warmers, that keep the tea piping hot. 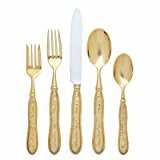 They sell them in many china patterns, but I also have bought them on line, in p!ain white, for around $20. It is a round ceramic hollow vessel, that a lit tea candle sits in. You park the prepared tea in the china pot on top, and it keeps it fairly hot for a long time. I discovered this at a friend’s house. She had an antique one. 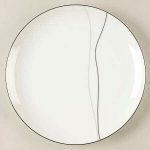 Then discovered, the next year, that my china pattern had them, too…but then, over 10 years ago, they were $50 each, so I only have 2. But, I found the p!ain white ones look almost as good. I like to serve several different kinds of tea,so refreshing each one would get comp!icated? Thanks for the suggestion, Nan! I haven’t seen the tea warmers so I’ll have to look for them. That sounds like a great way to keep the tea warm.